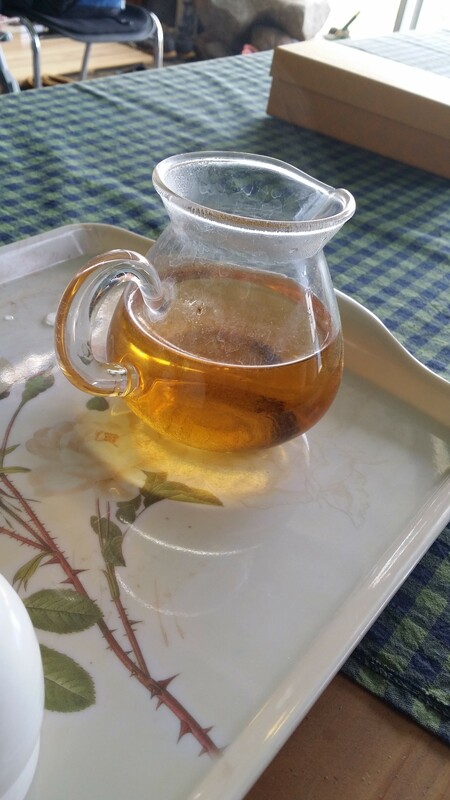 Nowadays far more popular than green tea because of its richer, sweeter, smoother taste, Parhyo Tea is popular with tea makers because of its relative ease of preparation. Here are the basic steps as practiced by Master Hyoam in Gurye, just below Hwaeom-sa Temple. The freshly picked leaves are left to wilt for almost 24 hours in the shade. By the end of that time the smell has already begun to grow more intense and fragrant. 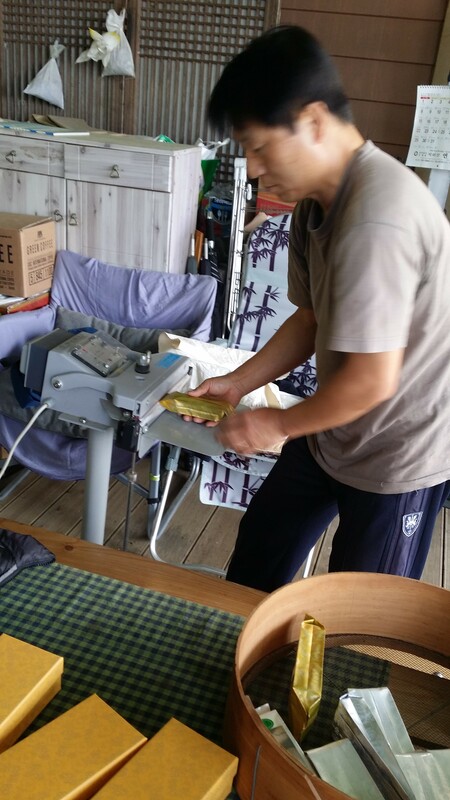 Usually, several kilograms of leaves are processed at once. 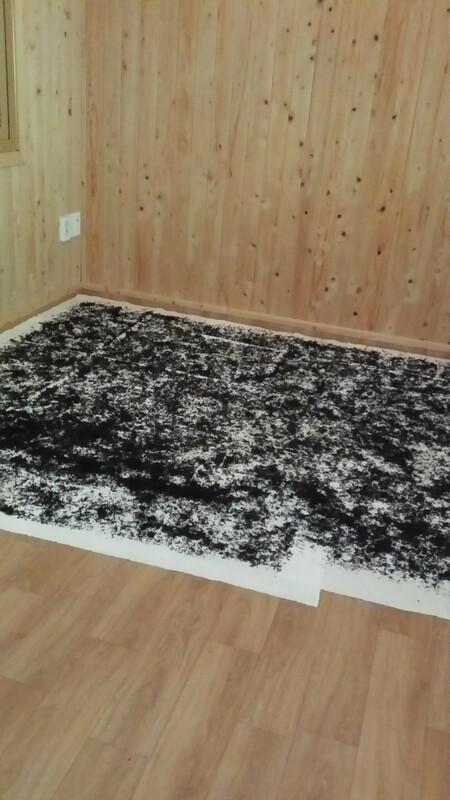 The leaves are rubbed and rolled cold on a table covered with a coarse cloth or a rice-straw mat. 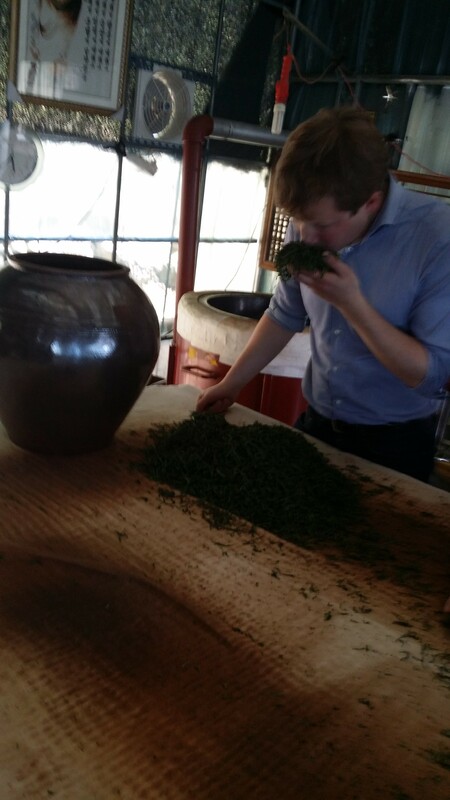 Usually several rubbers pass the batches of rubbed leaves from one to another to ensure that all are equally thoroughly rubbed. The rubbing exposes the juices in the leaves to the air for more thorough oxidation. 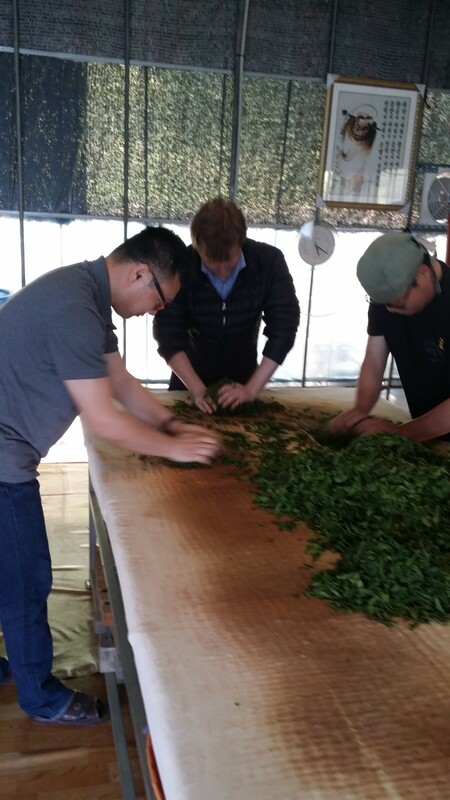 By the end of the rubbing, the mass of leaves is really moist and has to be sifted with the fingers to prevent it clumping together. 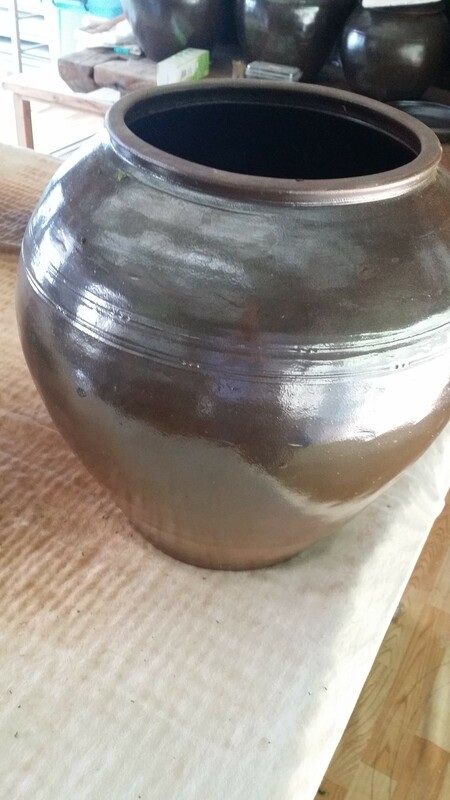 Then the pot is wrapped in a blanket to retain the heat and placed on a heated ondol floor (about 45 degrees C) for some 14 hours, during which time the process of oxidation continues while enzymes operate a form of fermentation. 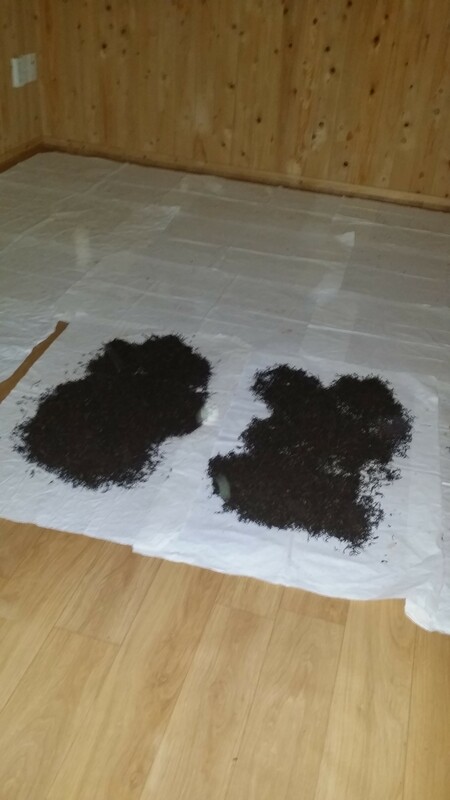 The fermented leaves are sprinkled thinly onto sheets of paper spread on the same heated ondol in a darkened room and allowed to dry completely for 2-3 days. At the end of that time they are allowed to go on resting for a while before packing. 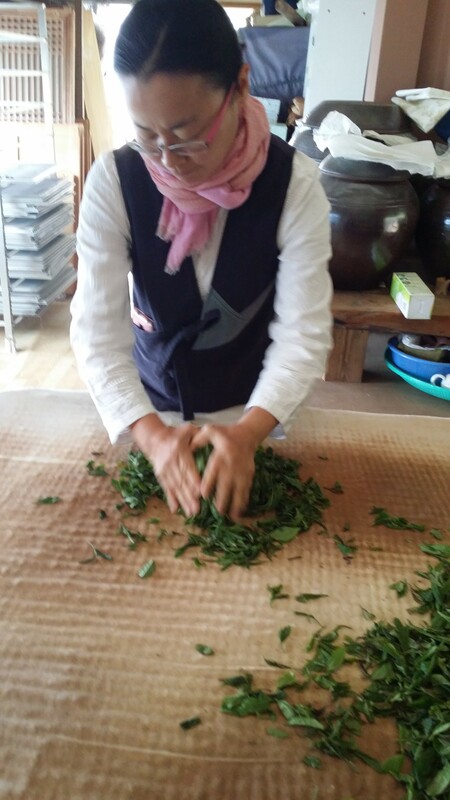 Korean tea is usually sealed in packs of 50 or 80 grams. Vacuum packs are almost never found in Korea (they are very popular in China). 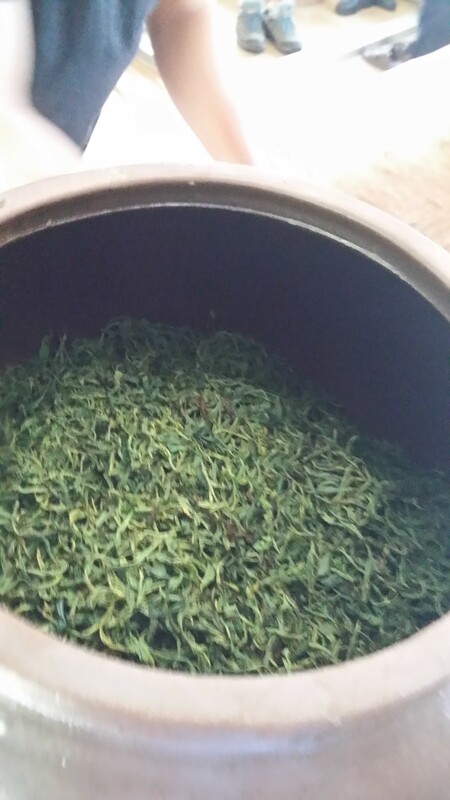 Parhyo tea can also be kept in a covered hangari (pot) stored in a dry place, while green tea should always be kept in tightly closed pack to avoid the loss of its fragrance. 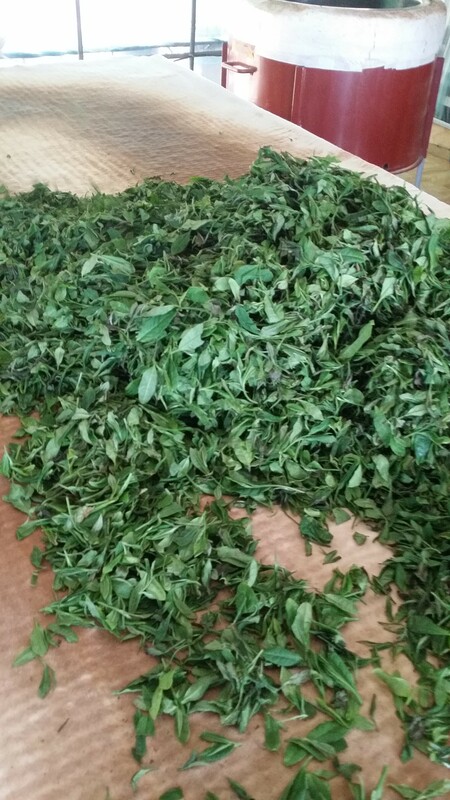 The water used to brew parhyo tea can be nearly boiling, there is no need to let it cool. The color is golden, the taste sweet, nutty or, in the best cases, flowery. 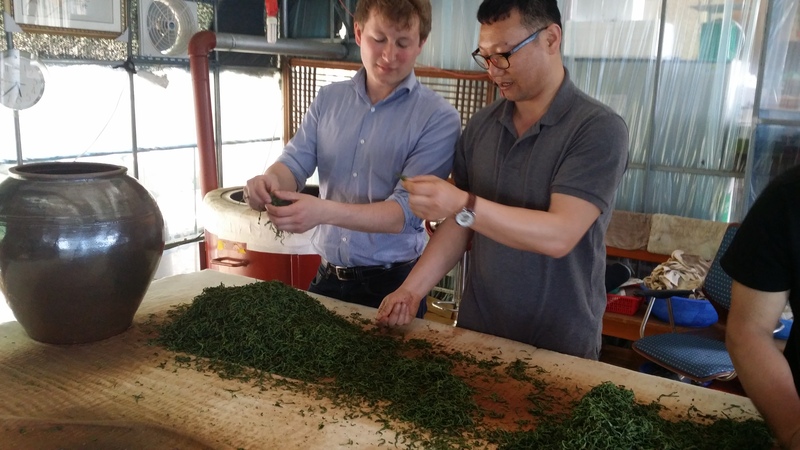 The tea allows multiple brews without losing its quality.